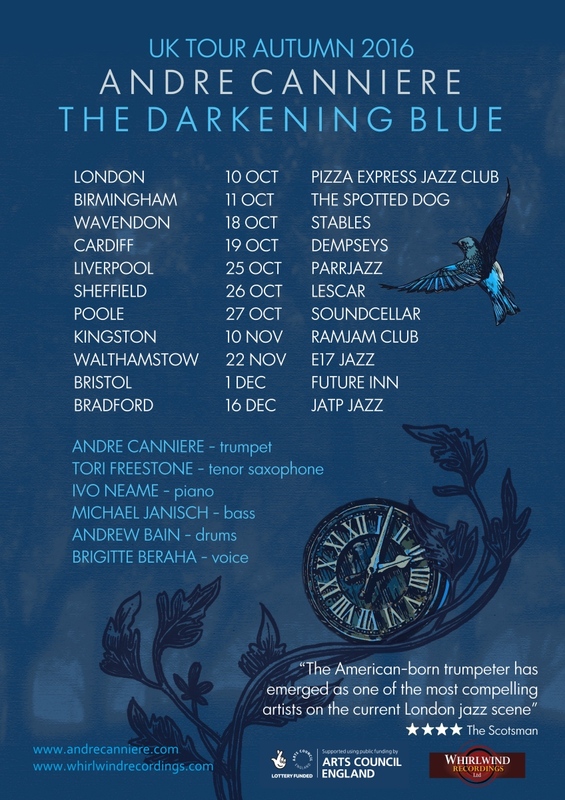 I am very excited to finally be able to announce that my latest project has received funding from Arts Council England and will be touring the UK this Autumn to support the release of The Darkening Blue (out October 7th on Whirlwind Recordings). This new project is centered around a new programme of original jazz compositions inspired by selected poems of Rainer Maria Rilke and Charles Bukowski. The artistic idea behind this project was taking two distinctly contrasting literary giants who I have long been obsessed with (Rilke and Bukowski) and finding a way to incorporate some of my favourite works of theirs into my own compositions. Combining the haunting and mystical elements of Rilke with the grit and boldness of Bukowski’s work into a cohesive collection of musical compositions was a challenge that has ultimately taken my writing in an exciting new direction. Featuring “imposingly original” (Guardian) saxophonist Tori Freestone, pianist Ivo Neame (of Phronesis fame), “virtuosic and emphatic” (Guardian) bassist Michael Janisch, drummer Andrew Bain (Kenny Wheeler, Jon Irabagon) and the “subtlety and precision” (Guardian) of guest vocalist Brigitte Beraha. More detail for individual dates can be found on the events page.